To use water or not to user water. Well, it’s raining a lot again in California. Just after all the cities put mandates in place to help keep grass on our yards to a minimum, things go and change weather wise. We got rid of a lot of plants and vegetation that were water guzzlers and a lot of people out there switched to more desert like landscapes before this last deluge happened. Well, not what? After summers end can we then switch back to veggie gardens and lush green golf course style lawns? Dont go grabbing your shovels and earth tillers just yet. Just because California is no longer officially in a drought doesn’t mean it will not return? 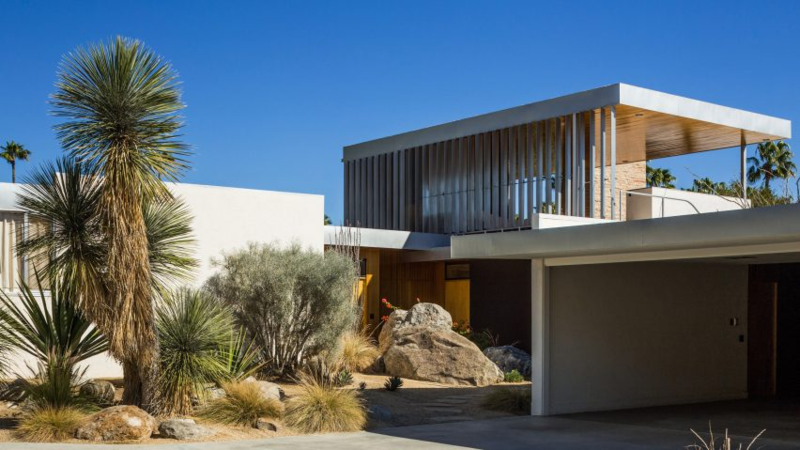 I think most people have now gotten used to seeing desert landscapes that are not just in the front yards of the Palm Springs mid century homes only. These types of yards were once thought to be the domain of deserts only and then because of the recent Ca droughts have become popular all around the state of California even in the low mountain regions the like of Big Bear. Yes , way up there in Big Bear, that is usually popularly known for it’s ski resorts and snow only. I have seen these types of stark desert front yards there also. Who best to ask? Well, your friendly neighborhood landscape designer. That’s who. But what is it called ?! My friends, it’s referred to as drought tolerant landscaping. Now let’s all raise our pinky finger as we drink this chambucha tea at 150.00 a cup. Okay, seriously though. Drought tolerant landscaping is the way of the future for people who live in states like California, or Arizona or even Texas. Let’s not forget them. Watch out for companies that tout that they are the masters of drought tolerance and they can get you a rebate. Well, in some cases some companies will make off with your rebate and give some sort of crap gravel instead of nice stones or mulch that looks nice. Be aware ! We are not like that of course. We understand the undertakings of large scale projects where time is money. If you want things done professionally and correctly then consult with us and give us a call ! A nasty, cheap, gravel heat island. Now I find that I have been educating clients on what a real drought tolerant landscape is - not this! Okay other landscape companies. You can do better than this ! Or can you? Below is a good example of an excellent desert, drought tolerant landscape. Not ours of course be we can do this ! Okay, the above is Neutra but if you have the budget we have the skills.